Built to cope with just about anything, this enormous travel and expedition bag is designed for transporting large loads over rough terrain in all weathers. The bag is made of heavy duty, fully waterproof Mega PU, with an ultra-robust, double-thickness Ballistic 1680D base. The water repellent zip also ensures that any kit stored in the front pocket remains dry. It can be carried either on the back using the stowable shoulder straps or by its two grab handles. 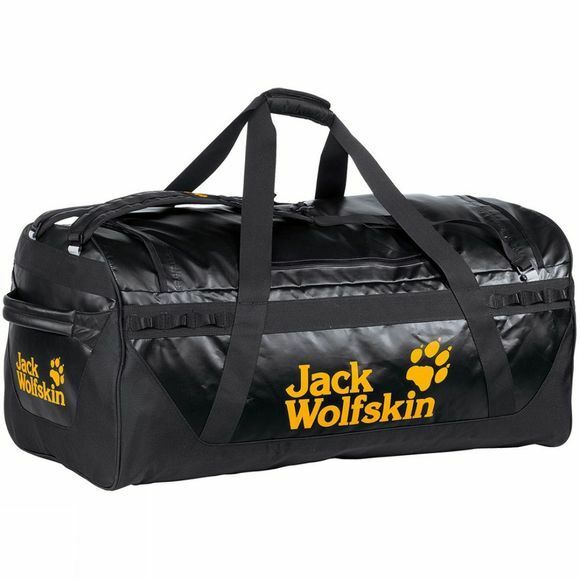 The Expedition Trunk Duffel Bag is tougher, more waterproof and more comfortable to transport than a classic travel bag.